Hello everyone! Today I’ll be giving you very personal review of a Comfort Food Spot called “Cheese Grille” located in The Lower East Side of Manhatten New York. I will be reviewing on a few things. 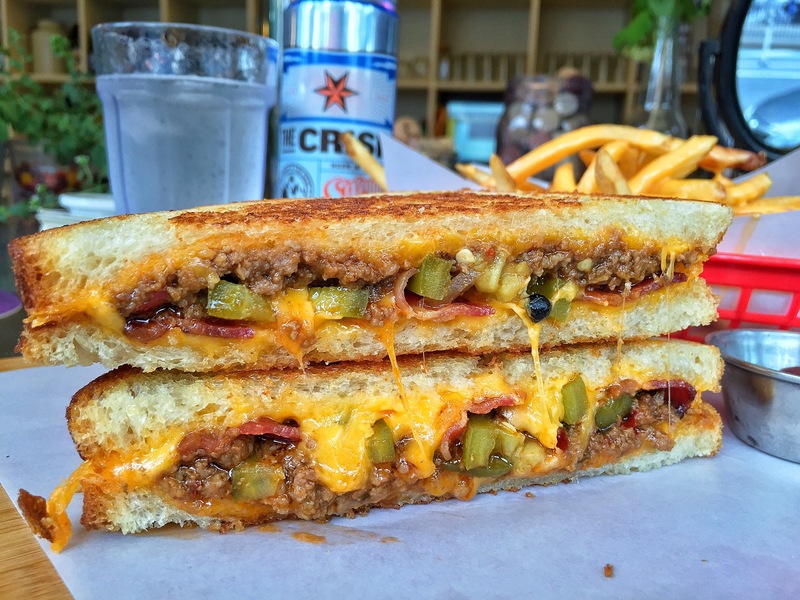 Food – i ordered the “The Sloppy” it’s a sloppy joe grilled cheese sandwich with Joe Cheddar, Ground Beef, Pickled Jalapeños & Bacon. I ALWAYS add bacon to everything I order. That’s just how I live my life. I also order the beer batter cheese fries. Even though I’m not a fan of tomato soup. They have been voted 3rd best tomato soup in New York and for coming up on only being open for a year, that’s a great accomplishment. Grilled cheese and tomato soup go hand and hand! Let’s start with the first bite. Absolute Perfection! The bread they use is perfect for grilled cheese. It has just the right amount of crunch and thickness you need to hold everything inside, yet it is still soft and tasteful. The sloppy joe is really good but then out of no where, it hits you. SPICY! 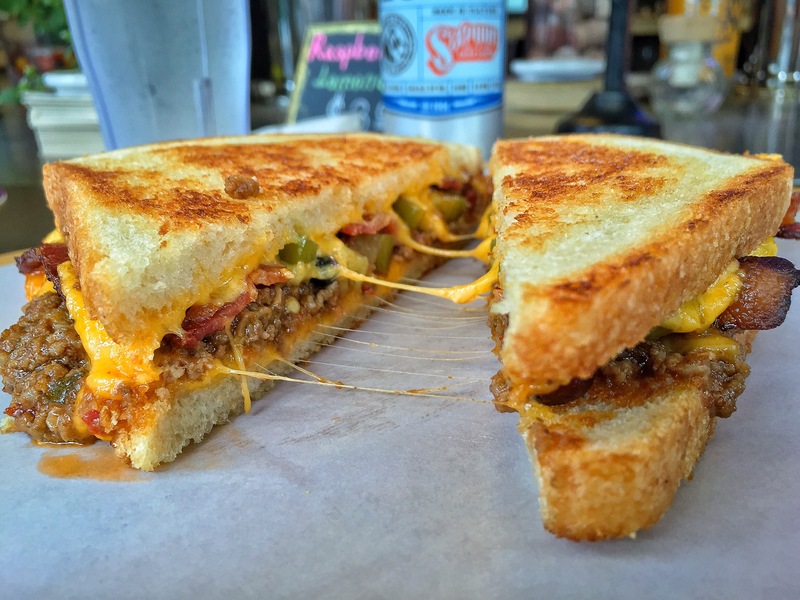 The pickled jalapeños add just the right amount of spice to the grilled cheese, it isn’t too hot where it takes over the grilled cheese but isn’t like your average baby hot sauce. Bacon makes everything better – that’s just a fact! The fries were awesome period. Don’t believe me? Go try them yourself. Menu – Not a big menu which is good I’m not a fan of big menus, its quick, simple and straight to the point. Service – I was greeted by the owner Mike as soon as I walked in. Great guy, very friendly with all the customers, checks in on you to make sure everything is good & he even helped me choose my order. Presentation – On point! They serve you your meal on small personal cutting boards. The grilled cheese is cut in half for you already and pulls away so gracefully. 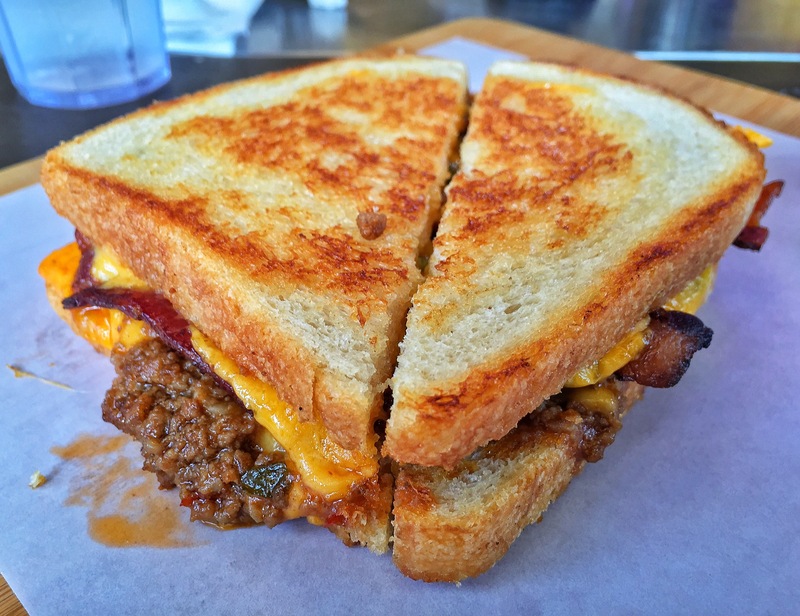 Overall Rating – I would have to say Cheese grille holds up to their motto “best grilled cheese in town or we buy you a drink” the service was great, the atmosphere was cool. Big open windows and outside seating which is great for a nice day in the city. I would defiantly recommend this place to anyone! I give Cheese Grille a 4.9/5 stars! The one & only thing this place is missing is 1 item off the menu. A mac n cheese grilled cheese! Or have it as a add on. Which mike and I discussed about. Once that’s on the menu this place is perfect for a chill quick bite of amazingness! Thank you everyone for reading! Please make sure to check out Cheese Grille located on 188 Allen Street New York. Like, comment and follow below! Next postBacon Wrapped Chicken Burger! Why is this happening to me?!! !